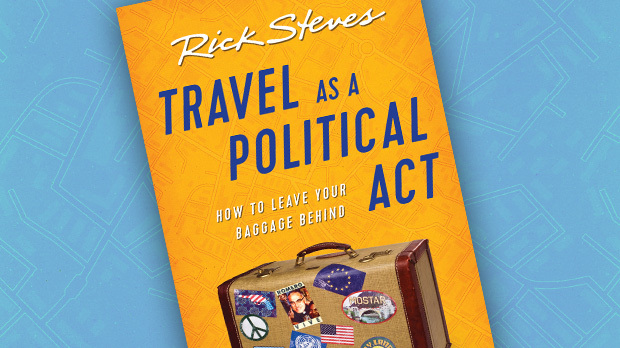 For years, my travels have caused me to think about organized religion. (When I got my history degree in college, one of my favorite classes was "History of the Christian Church.") And for years, I've believed that those who enjoy getting close to God should pack their spirituality along with them in their travels. In Israel, religious tourism is a big part of the economy. And much of that is Christian tourism: bus tours of believers visiting sights from Jesus' three-year ministry — places they've imagined since their childhood Sunday school classes. 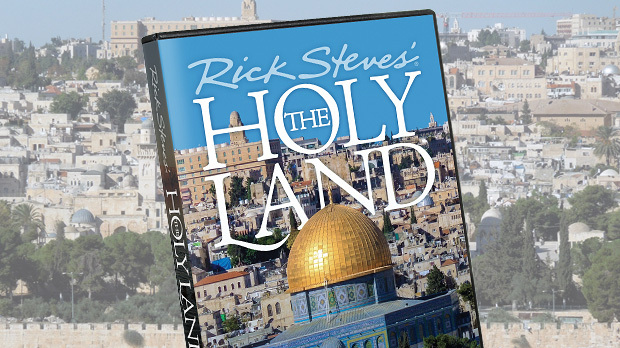 While Jerusalem is the major stop, they generally make a quick visit to Bethlehem (in the West Bank), and loop through the north to stop at several sights near the Sea of Galilee. While Jesus was born in Bethlehem, just south of Jerusalem, he grew up in the north in Nazareth, near the Sea of Galilee. Since the Jordan River dumps into the north end of the lake, that's where there's the most oxygen in the water and consequently the most fish. The land there, around Capernaum, is where the major population centers were and, of course, the most fishermen. Long before tourism, and even long before Christ, the economy around the Sea of Galilee was fishing. This is where Jesus assembled his band of disciples, turning fishers of fish into fishers of men. There are five sights on or near the sea that are particularly meaningful. 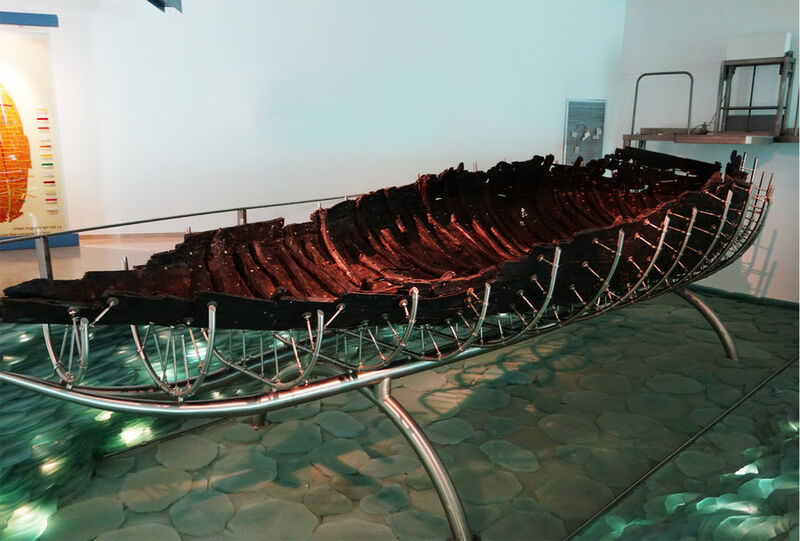 At Kibbutz Ginosar, there's an impressive little lakeside museum containing the recently excavated remains of the "Jesus Boat" — a typical fisherman's boat from the first century A.D. The boat survived because it was covered with mud, preventing its total decomposition. Discovered in 1986, archaeologists dug it up quickly and then submerged it in a chemical bath for seven years before finally allowing it to go on view. Perhaps the Apostles Peter and Andrew were working on this kind of boat when Jesus called them to follow him. Another sight near the sea also has great significance. According to tradition, John the Baptist baptized Jesus where the Jordan leaves the Sea of Galilee. 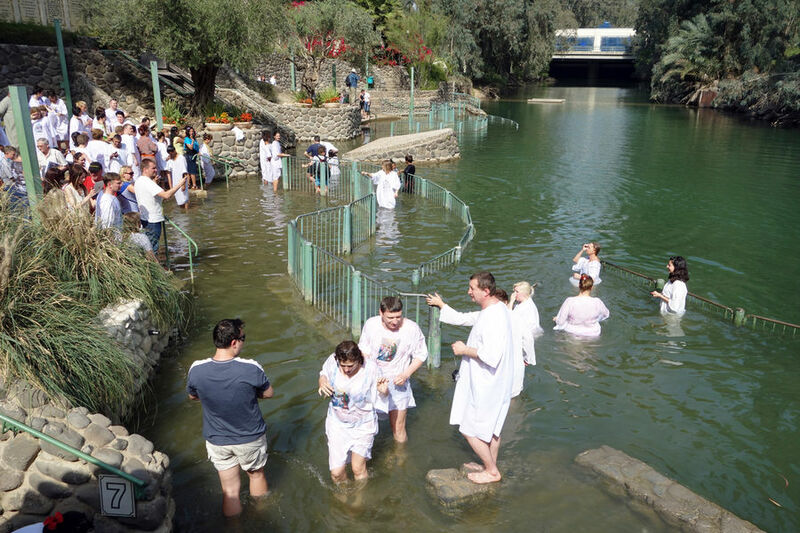 Today, many Christians flock to a spot on the Israeli side of the river called Yardenit to be baptized or rebaptized. There are competing baptismal spots farther south on both the Israeli-controlled and Jordanian sides of the river. I found Yardenit the most lively...but the least spiritual. The Church of the Primacy of St. Peter, a small Franciscan chapel that incorporates part of a 4th-century church, is especially important for Catholic pilgrims. Delightfully set on the sea, it's built upon the rock where, tradition holds, the resurrected Jesus ate with his disciples and told Peter to "feed my sheep." That is one reason why the Roman Catholic Church believes in the primacy of St. Peter. Another holy sight — the Church of the Multiplication of the Loaves and Fishes — is built upon the place where, according to the Bible, the five thousand who gathered to hear Jesus preach were miraculously fed by a few fish and loaves of bread. There's a fragment of a mosaic from the original church that stood here in the fifth century; it depicts a basket of bread flanked by two fish. And yet another church, perched high above Galilee on Mount Beatitude, is traditionally considered the place where Jesus gave the Sermon on the Mount. Built in 1938, the Church of the Beatitudes has an octagonal shape representing the eight beatitudes. It's near the site of a 4th-century Byzantine church which was used for some 300 years. The faithful from every corner of Christendom come here to remember how Jesus said, "Blessed are the meek, for they shall inherit the earth. Blessed are the peacemakers, for they will be called the children of God. And blessed are the merciful, for they shall receive mercy." As a Christian, gazing out over the fabled Sea of Galilee and imagining Jesus walking on the water, I became more emotional than I had imagined I would be. Closing my eyes, I let the song of pilgrim groups singing in the distance, the sound of the little waves at my feet, and the breeze off the lake come together in a touching, personal moment. Even if you're not religious, a visit here can be a spiritual experience.